BookBrowse interviews An Interview with Beth Redford of The Dorothy Canfield Fisher Award Book Club about all aspects of their book club. The Dorothy Canfield Fisher Award Book Club is a 4th grade student book club at Richmond Elementary School, run by Beth Redford. Beth shares the process by which the 4th graders get to read new high-quality literature and help choose the favorite book of the year in Vermont. Hi Beth! Please tell us a bit about the Dorothy Canfield Fisher book group that you organize? Every school year, all the fourth graders at my elementary school – Richmond Elementary School - are invited to read or listen to books from the current year’s Dorothy Canfield Fisher (DCF) Award reading list. Students who read or listen to at least five books from the list get to vote on their favorite book, and I send their votes to the Vermont State Library to help choose the statewide winner. What is the Dorothy Canfield Fisher Award? 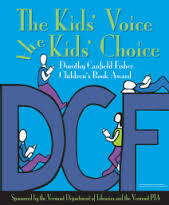 The Dorothy Canfield Fisher (DCF) Award is Vermont’s Children’s Choice book award for grades 4 through 8. Every year a committee of adults puts together a list of 30 new titles that includes both nonfiction and fiction from a wide variety of genres and reading levels. And who was Dorothy Canfield Fisher? 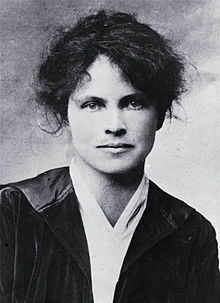 Dorothy Canfield Fisher was an educational reformer and novelist in the early part of the twentieth century. She was especially passionate about lifelong education, and actually founded the first adult learning program in the United States. She was also the first woman to serve on the Vermont Board of Education. She lived in Vermont and many of the settings in her novels were based there. A great person to represent this award. And back to the award, how do children get access to the DCF books? At my school, I provide copies of the books most appropriate for fourth graders, and whenever possible I provide audiobooks as well. Fourth grade teachers frequently read at least one of the books aloud over the course of the school year. This means that every fourth grader participates in the DCF reading program to some degree. That sounds wonderful! I would imagine that the list is filled with gems! The books are always well-written titles, so Vermont students are guaranteed to have some exposure to new, high-quality books each year. It's still one of my favorite books today. It’s been a joy to see the program from the adult side as well. I'll bet it has been. It must be rewarding to be a part of the process now, when you got so much out of it as a child. Can you tell us about your meetings? We don’t meet as a group except at the beginning of the school year, when I introduce the program and the reading list to each fourth grade class. After that, students meet with me individually to discuss the books they’ve read. I read all of them over the summer so I’m ready to go when the school year starts. Do you set up meetings with the students? I do. I usually schedule official times to meet with students to discuss books, but often they come into the library so jazzed up about a book they want to tell me about it right away! This year Wonder by R.J. Palacio and I Funny by James Paterson and Chris Grabenstein have been big favorites. What other sorts of books do you read? 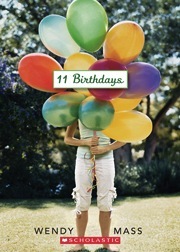 Every year the DCF reading list includes both nonfiction and fiction from a wide variety of genres and reading levels. (See 2013-2014 nominees here.) Students choose which books from the list they want to read based on their personal interests, reading levels, availability of the book as an audiobook, peer recommendations, and my recommendations. The DCF committee does a great job every year of putting together a list with something to appeal to every student. 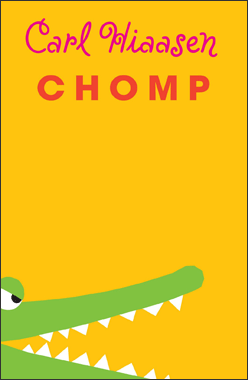 Humorous books like I Funny, Jeff Kinney’s Diary of a Wimpy Kid and Carl Hiaasen’s Flush, Chomp and other titles are always popular, but my students are also big fans of character-driven stories like Wonder, Wendelin Van Draanen’s The Running Dream, and 11 Birthdays by Wendy Maas. What happens after the kids read the books? When the program ends in April, students who have read or listened to at least five books get to vote to help choose the statewide winner. And do you hold any special events? I also hold a pizza party luncheon in the library for those students. I serve them pizza from a local favorite restaurant along with apple juice and chocolate milk. I turn down the lights and play goofy Italian restaurant music, and our custodian helps me set up long tables with white tablecloths and little electric tea lights. “Local celebrities” including the fourth grade teachers and our principal come in to help me wait on the students. At the end of the party I hand out certificates of participation. It is fun. It's easy too, and the students love the celebration of their reading. There's a statewide DCF celebration for students too, but to date I haven’t ever taken my students. Do you have advice for other schools who run or might think of running book groups for their students? As a school librarian, I think a lot about making my literacy activities as accessible and inclusive as possible, for as many students as possible. That’s why I buy audiobooks whenever I can, to allow students to participate even if some of the DCF books may be above their reading levels. I’ve also connected with parents who read some of the DCF titles aloud to their children so they can participate, and I’m always appreciative when classroom teachers do this as well. I would encourage other adults who run book clubs for children to try this approach. Parent-child book clubs have a built-in structure for reading aloud and school and public libraries can often provide audiobooks of popular titles. It’s a little more work and expense than using books alone, but it’s worth it! 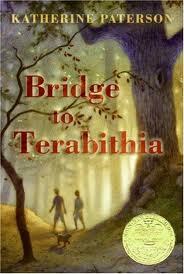 Thank you so much, Beth, for taking the time to share your DCF book group with us!